“Paul Bruce Dickinson” (born August 7, 1958 in Worksop, Nottinghamshire, England) is a British singer, airline pilot, radio show host, fencer and songwriter, best-known as the lead singer in the iconic heavy metal band Iron Maiden. According to All Music Guide, Dickinson ‘was the most acclaimed and instantly recognizable vocalist to emerge from the New Wave of British Heavy Metal movement of the early-’80s’. Before Iron Maiden, he was the singer in a similar band called Samson from 1979 until he joined Iron Maiden two years later in 1981. In Samson and previous bands, he went by the name of ‘Bruce Bruce’. He made his recording debut with Iron Maiden on their “Number of the Beast” album in 1982. During previous years, he was in Styx (1976) (not to be confused with the American band of the same name), then went on to sing for Speed (1977 - 1978). When Speed split up, he joined Shots until the summer of 1979. Dickinson quit Iron Maiden in 1993 in order to pursue his solo career and was replaced by Blaze Bayley, who had previously been the lead singer of the metal band Wolfsbane. Dickinson’s solo work ranges from the Alternative Rock sound of 1996’s Skunkworks, to the all out Metal style of Accident of Birth. 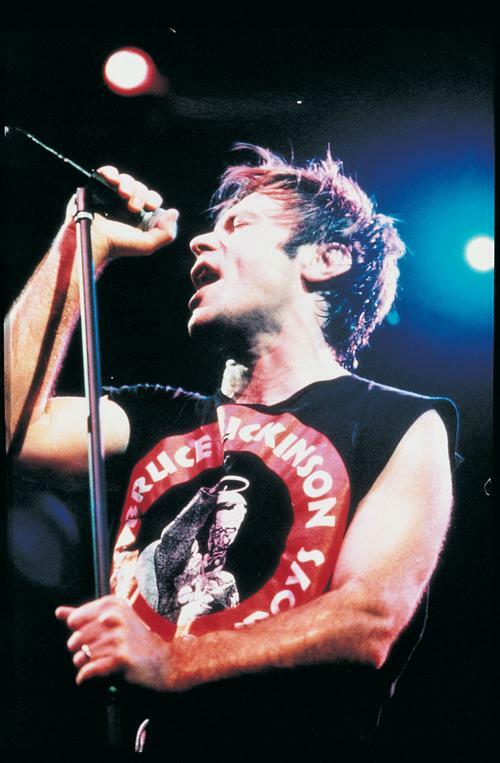 Dickinson was releasing an artistic energy he felt was suppressed by Iron Maiden’s strict progressive metal format, which he claimed could not accommodate emotional reflection as evidenced in the lyrics of ‘Tears of the Dragon.’ After releasing two traditional metal albums with former Maiden guitarist Adrian Smith (which were arguably more akin to the genre than Maiden’s epic format), Dickinson rejoined the band in 1999 along with Smith. Both are still in the band to date. Since then, Dickinson has only released one more solo album (“Tyranny of Souls”) but says his solo career is not over. He has signed a contract with his label to do 3 more solo albums.